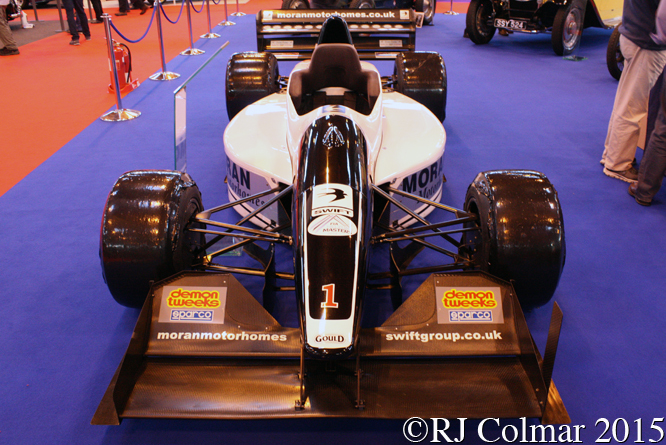 Today’s blog is all about some of the classic competition vehicles at last weekends Classic Motor Show at the NEC in Birmingham. 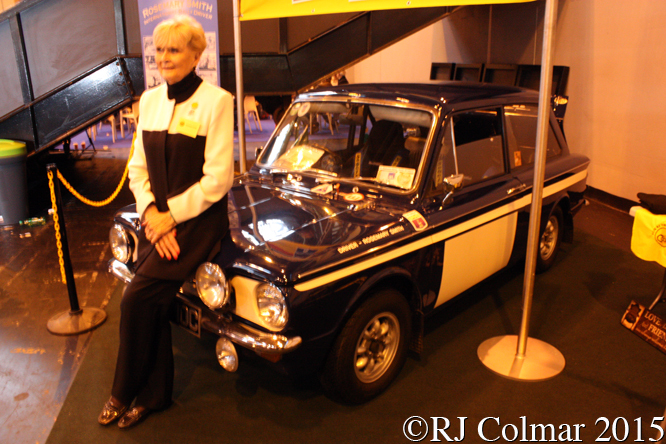 A couple of weeks ago I went to a talk at which Rosemary Smith, winner of the 1965 Tulip Rally driving the Hillamn Imp above, was to be the guest of honour, unfortunatley she had a fall and so could not make it so it was great to see her on her feet again at the Classic Motor Show despite the fact that some of her bones were still on the mend. Rosemary drove a Ford Cortina Lotus on the 1968 London to Sydney Rally and finished 48th six places behind Jean Denton who drove the MGB GT Roadster seen above in need of some tlc, who finished 42nd. 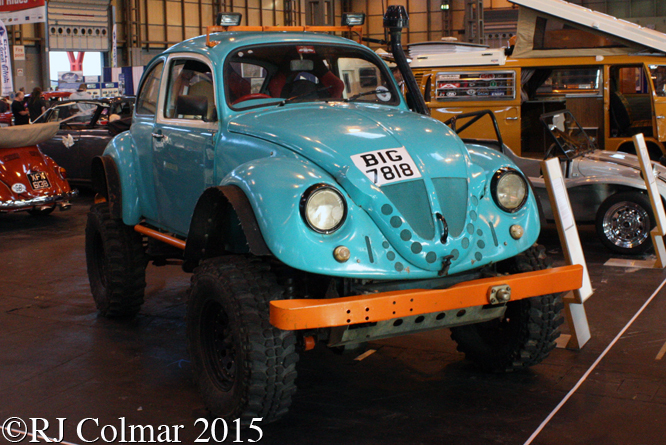 Among the taller vehicles at the show was the road legal Gulf liveried Discovery Beetle, above, built on a shortened 1996 Land Rover Discovery chassis and fitted with a 300 TDi which being lighter and more aerodynamic than a standard Discovey goes well on the road and is perfect for off road trials. 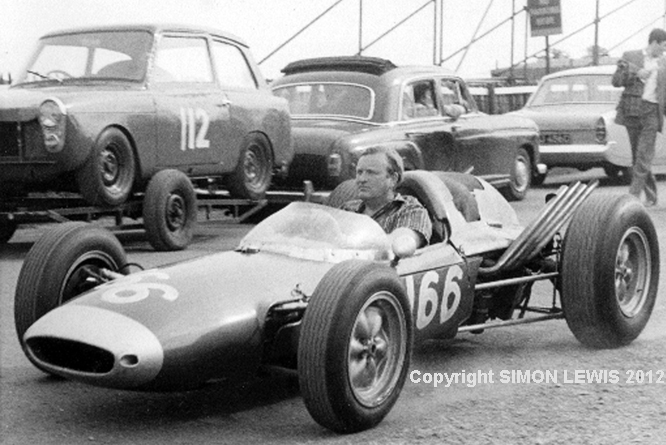 Having acquired a 1966 Cooper T81 formula one car and fitted it with a 7.2 litre / 440 cui wedge engine for hill climbing Martin Brain acquired a 1967 Cooper T87 Formula 2 chassis and had it fitted with a 2.5 litre / 152 cui Daimler hemi V8, more commonly found in the SP250 and V8 250 Daimler models, for hill climbing on tracks with tighter corners. The car was rescued from a Swedish Museum in 2011 by Gillian Goldsmith better known as a successful equestrian and car racer Gillian Fortescue-Thomas who has since competed with the Cooper Daimler as has her daughter Samantha. Powered by a 650 hp Nicholson McLaren Engines (NME) 3.5 litre / 213 cui development of the Cosworth HB Indy car engine the Gould NME GR61X is the most successful car ever to compete in British Hill Climbing with Scott Moran claiming 133 wins and Roger Moran claiming a further 16 and Alex Summers 8 since the cars first appearance in April 2005. 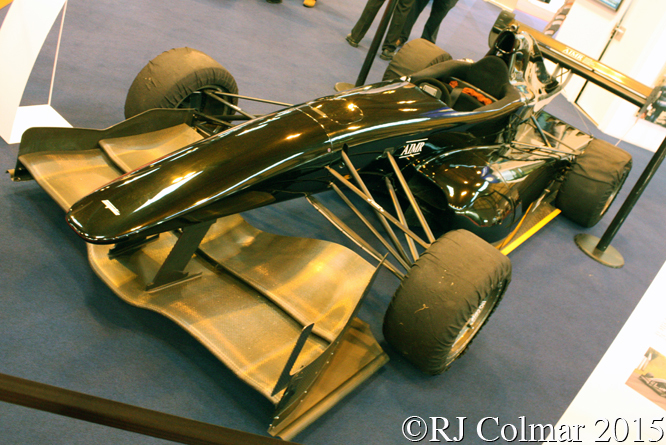 Successful Trike hill climber and Empire Racing Cars founder Bill Chaplin called Dutch born Formula One aerodynamicist Willem Toet, most recently at Sauber, to work on the Empire Wraith hill climb challenger which is powered by a 180hp Suzuki GSR K8 motor. This example built at the Empire factory in Stathe Somerset in 2013 is the first of three built to date and is driven by Clive Austin and Chris Aspinall. 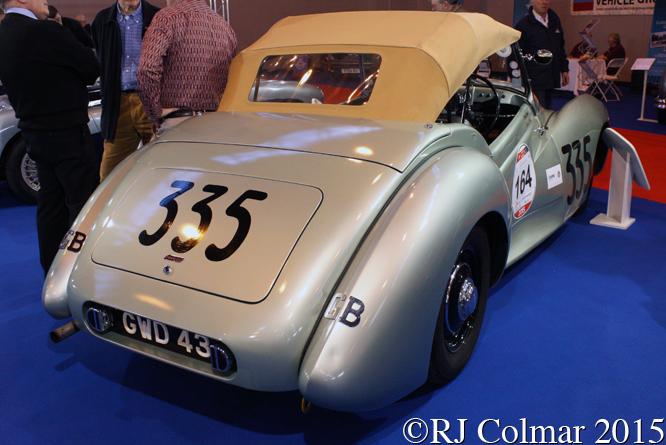 In 1948 Donald Healey and Geoffrey Healey drove the Healey Westland above to a ninth place finish on the Mille Miglia, the following year Tommy Wisdom and Geoffrey finished 10th in the same event in the same car. 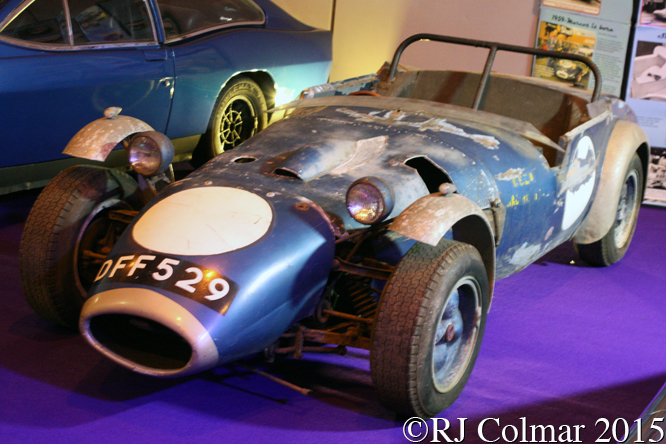 By 1959 former de Haviland aircraft engineer Frank Costin had a CV that included designing the Vanwall Grand Prix challenger that won the inaugural World Constructors Championship in 1958 and subsequent demand for his attention included that of Jem Marsh with whom he founded Marcos Engineering in Dolgellau, North Wales. The prototype Marcos, using the same plywood construction techniques de Haviland used to build the Mosquito fighter bomber the Vampire jet fighter, built in 1959 powered by a Ford 100E engine is seen above awaiting some well earned tlc having disappeared in Lincoln for many years. 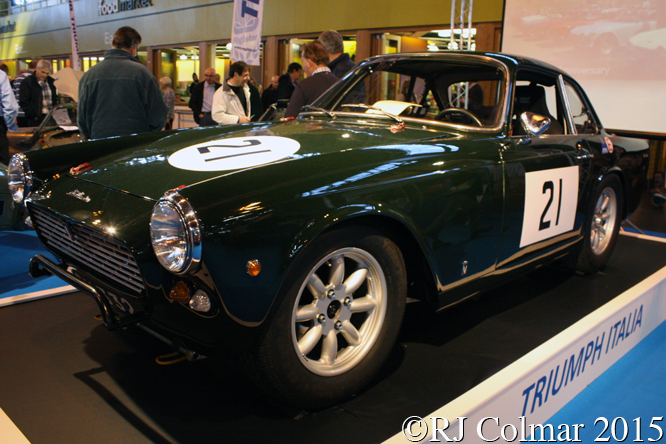 Only 329 Italia 2000 GT’s were built by Vignale and in 1996 Jorg Von Appen had #210, one of five Italia’s he owned converted to race spec to take part in the TR Race series, it survived four races and was recently purchased by the proprietor of Patterson’s Original Pickles. After withdrawing from Formula One at the end of 1962 Porsche built their first tube framed fiberglass bodied sports car which would culminate in the development of the 917 and later 936 models, originally known as the 904 Porsche badged the car Carrera GTS in deference to Peugeot’s ‘digit “0” digit’ numbering system. 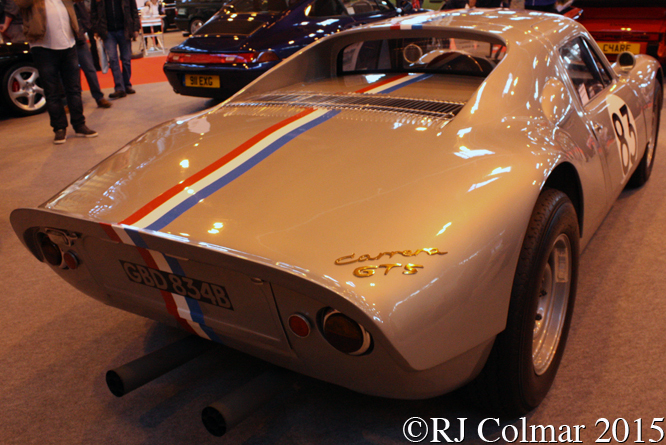 The GTS seen here was I believe used in competition by Claude Barbier and possibly later by Cyr Febbrairo. No doubt much to the annoyance of Formula Ring Meister Bernie Ecclestone the manufacturer who supplied the engines for his Formula One Brabham team split it’s efforts in 1986 between Formula One and the IMSA GTP series and invested in four March 86G chassis and fitted them with a 2 litre / 122 cui version of the BMW engine that had powered Nelson Piquet to the World Championship in 1983. 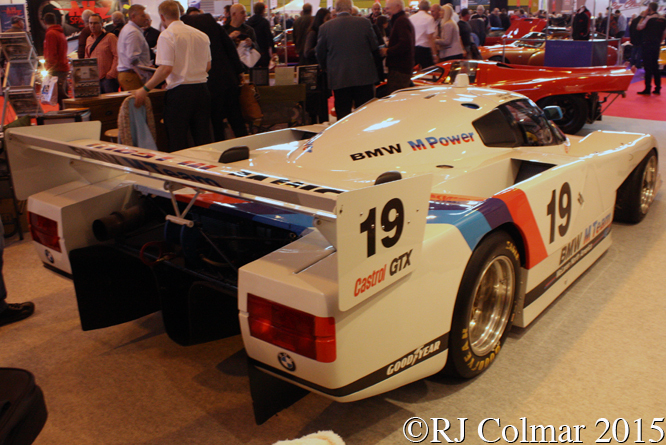 A BMW GTP was driven to it’s only victory by Davy Jones and John Andretti in the Watkins Glen 500, while the Brabham BMW team scored on 2 championship points in the worst season for the team up to that time. Dan Gurney’s All American Racers graduated to the IMSA GTP class in 1989, after claiming the driver’s and constructors’ championships in the GTO division Chris Cord in 1987, the teams all new HF89 was designed by Ron Hopkins and Hiro Fujimori and the following year Argentina’s Juan Manuel Fangio II drove HF89’s to three victories in the Topeka 300, Sears Point 300 with Rocky Moran and Del Mar Fairgrounds Road Circuit in November 1990. Thanks for joining me on this “Classic Competition Cars” edition of Gettin’ a li’l psycho on tyres” I hope you will join me again tomorrow when I’ll be looking at a Carrera Panamericana challenger. Don’t forget to come back now ! 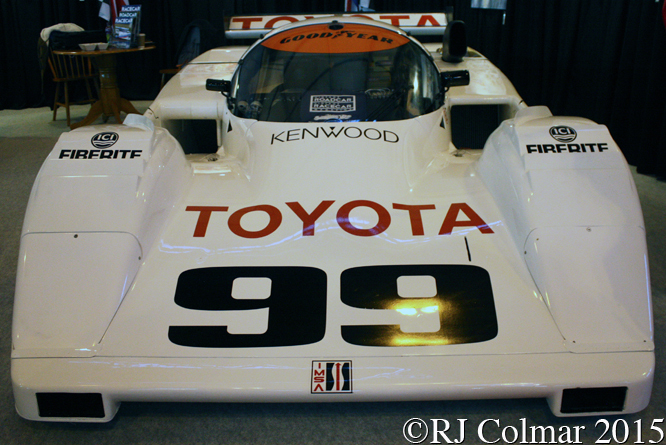 This entry was posted in Uncategorized and tagged All, American, Andretti, Appen, Aspinall, Austin, Barbier, Beetle, Birmingham, BMW, Brain, Chaplin, Classic, Colmar, Cooper, Costin, Cosworth, Daimler, Denton, Discovery, Eagle, Ecclestone, Empire, Fangio, Febbrairo, Fortescue, Fujimori, Goldsmith, Gould, Gurney, Healey, Hillman, Hopkins, II, Italia, Jones, Land, Marcos, Marsh, MG, Moran, Motor, NEC, NME, Porsche, Psychoontyres, Racers, Ralph, Rover, Show, Smith, Summers, Suzuki, Thomas, Toet, Toyota, Volkswagen, von on November 18, 2015 by Ralph. 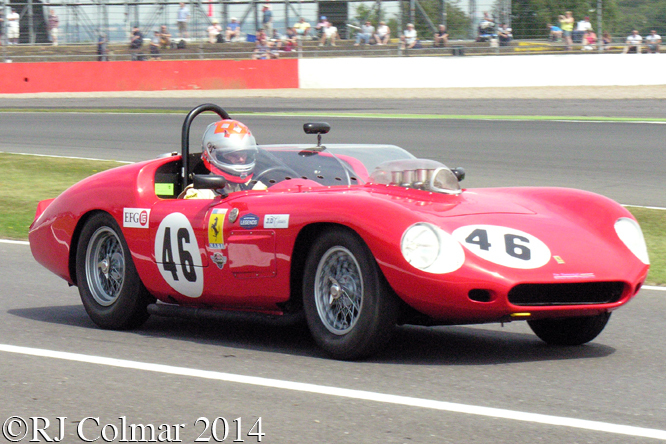 Welcome to GALPOT’s Ferrari Friday blog coming from last weeks Silverstone Classic with six of the Maranello cars that appeared on track. 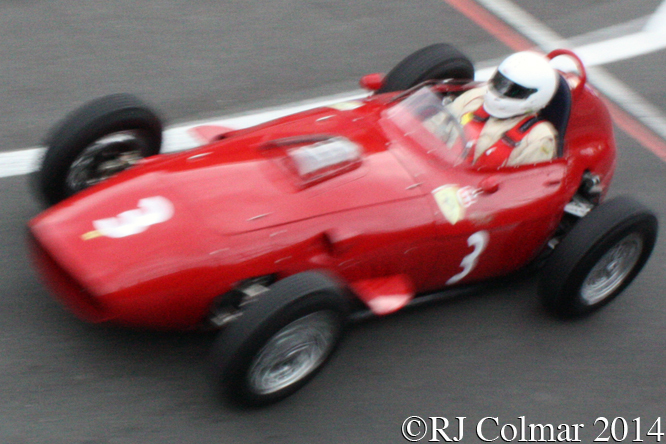 Tony Smith drove his Ferrari 246 Dino to a 6th place finish in the Maserati Centenary Race for pre ’61 Grand Prix Cars. Above Bobby Verdon-Roe exits the pits having just taken over the #46 Ferrari 246S from it’s owner Nick Leventis prior to finishing third in the Stirling Moss Trophy. 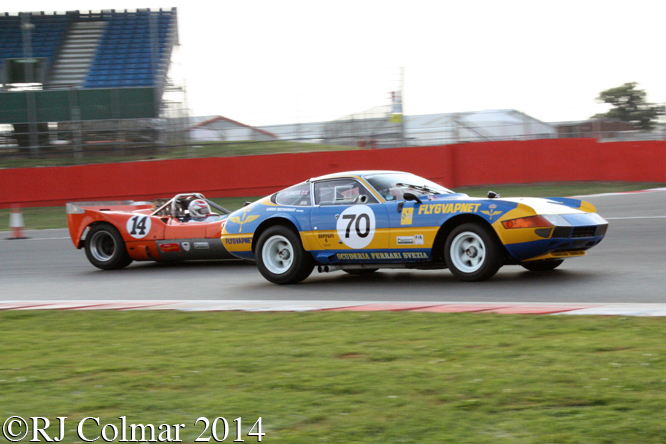 I first set eyes on Tim Summers #70 Ferrari 365 GTB/4 33 years ago at Silverstone. At the time I knew little about it other than it was apparently sponsored by the Swedish air force. Turns out that just like all the other competition Daytona’s it was converted from a road car but unlike most of the others this was not done until 1977 by Swede Ulf “Barbarossa” Bohman in Varberg. I look forward to writing a blog on the car in the not too distant future. 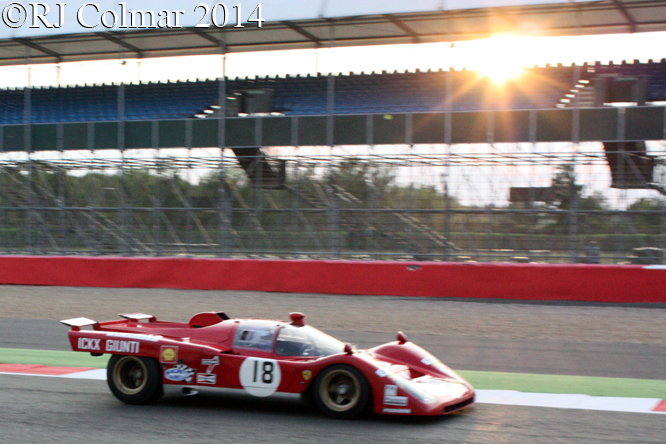 The sight and sound of Paul Knapfield making up for early lost time in his Ferrari 512M was breath taking the crisp 5 litre / 302 cui V12 has few audio challengers. After dropping from 5th in the opening laps to 18th Paul and FIA Endurance Champion co driver Jamie Campbell Walker climbed all the way back up to 8th at the end of the FIA Masters Historic Sports Car Race, two places better than the position in which they started. 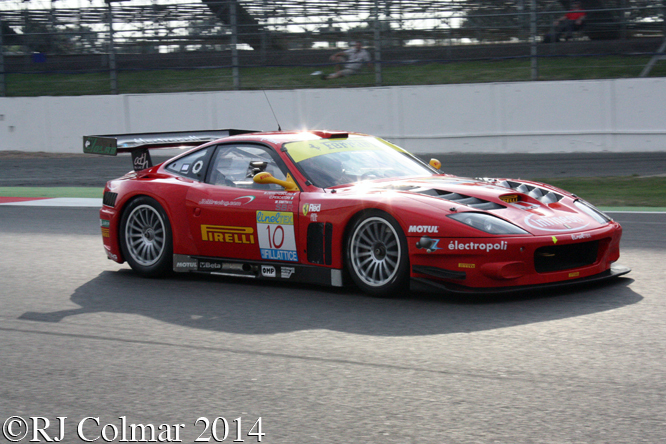 On the 13th of November 2004 Stefano Sebastiani, Jacopo Sebastiani, and Richard Jones drove a UK road registered Ferrari F40, J 848 JUY, prepared by Simpson Engineering in the Vallelunga 6 Hours. 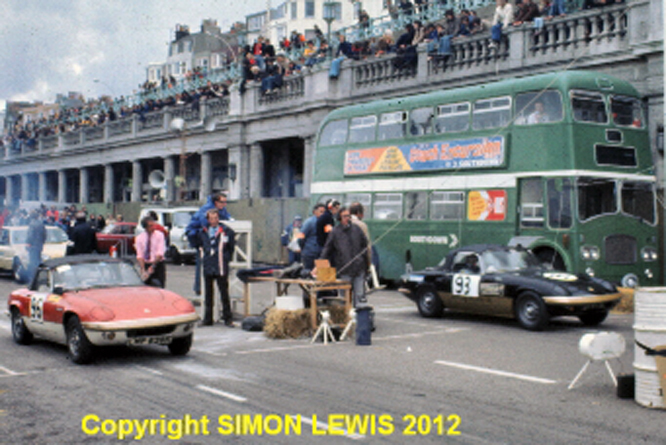 I believe the car seen above may be that same car taking part in the GT demonstration. There is only one #10 car listed in the programme and that was a Marcos so I have no idea who was at the wheel of the F40. Finally I believe the #10 Ferrari 550 Maranello above taking part in the same GT demonstration session might have been driven by Boris Derichebourg, David Terrien and Christian Pescatori in the FIA GT Championship race run in Barcelona on the 6th of June 2003, though if it is the same car it has gained a few vents in the bonnet/hood and rear wing/fender while loosing a brake cooling duct in front of the rear wheel. 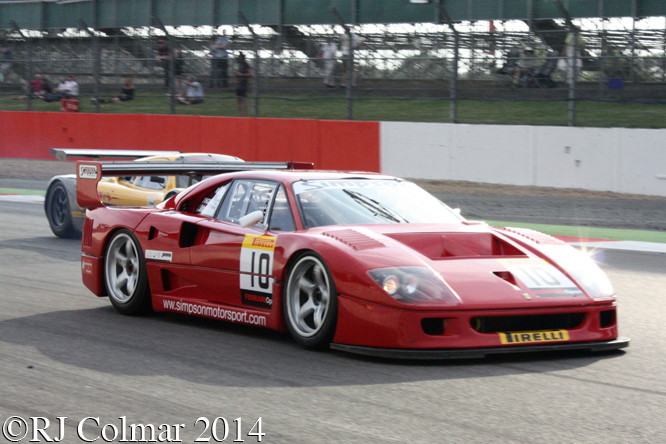 If you know who was driving either the #10 F40 or #10 550 Maranello in the GT Demonstrations at Silverstone Classic please do not hesitate to chip in below. Thanks for joining me on this “Classic Ferrari Racers” edition of “Gettin’ a li’l psycho on tyres” I hope you will join me again tomorrow for a look at some Jaguars, don’t forget to come back now ! 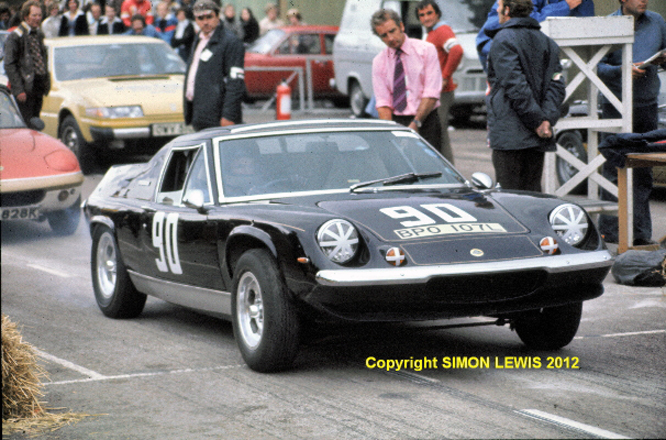 This entry was posted in Uncategorized and tagged 246 Dino, 246S, 365 GTB/4, 512M, 550 Maranello, Barbarossa Bohman, Campbell Walker, Colmar, F40, Ferrari, GALPOT, Knapfield, Maserati Centenary Trophy, Ralph, Silverstone Classic, Smith, Stirling Moss Trophy, Summers, Verdon-Roe on August 8, 2014 by Ralph. Happy New Year welcome to the first GALPOT blog 2014, this year we hit the track running as Brighton and Hove Motor Club is urgently in need of our help, in the form of a couple of minuets of your time to keep alive one of Britain’s oldest speed events namely the Brighton Speed Trial. The Brighton Speed Trial was inaugurated in 1905 after Brightonian Sir Harry Preston managed to persuade Brighton Town Council to lay a track made of the recently invented “Tarmac” between the Palace Pier and Black Rock, now known as Madeira Drive. The first event was organised by the Council and Automobile Club of Great Britain and Ireland, which was later to become the Royal Automobile Club (RAC). 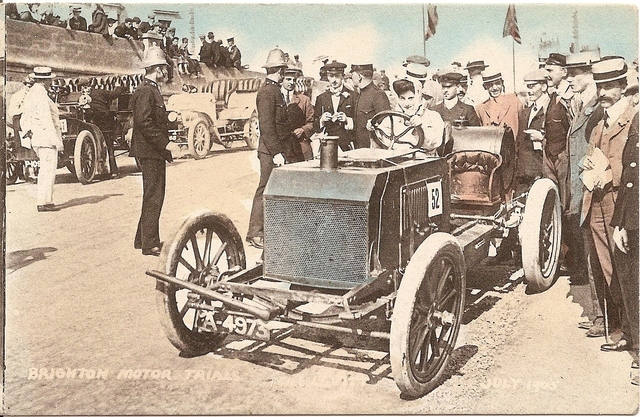 The July 1905 event was part of a speed week known as Brighton Motor Week which ran over 4 days during which Dorothy Levitt seen above at the wheel of her 80hp Napier became the fastest woman on earth achieving an average speed over a flying kilometer of 79.75 miles per hour. The first event was won out right by Clifford Earp in a 90 hp Napier. The opposition of rates payers to the cost of the event meant it was not run again until 1923 before being subject to an erroneous police ban on speed events held on public roads interjected in 1925. In 1932 Brighton and Hove Motor Club discovered that Madeira Drive was actually not a public highway at all, but the property of Brighton Corporation and so the police ban did not apply and the event became annual until the outbreak of the 1939-45 war. 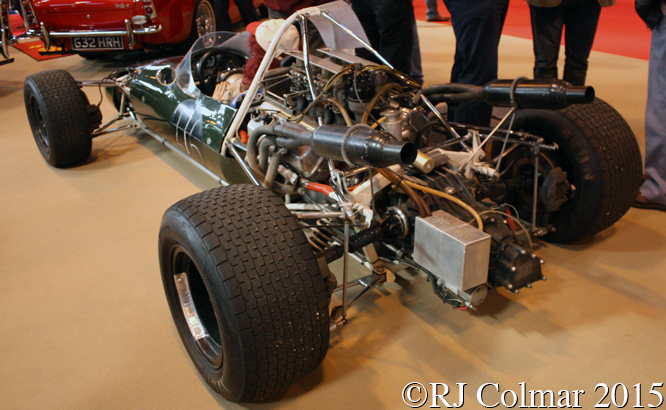 Above Chris Summers fearsome Chevrolet Lotus 24 chassis #942 won the now standing kilometer event in 1965 and 1966. In the back ground a Farina designed Mk 1 Austin A40 Countryman sits on a trailer behind a large Mercedes Benz tow car. 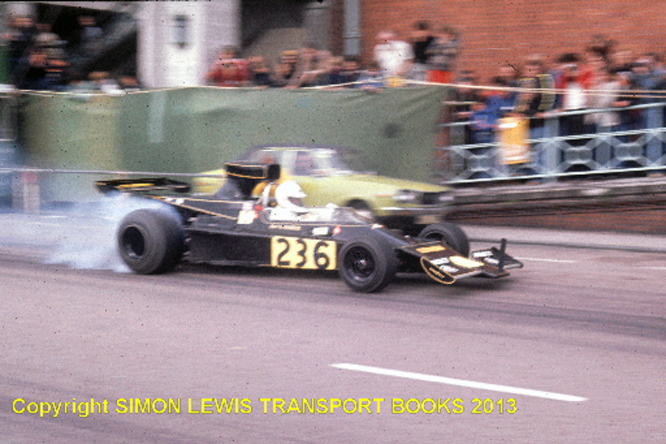 By 2012 the last time the event was run all manor of vehicles had run at the Brighton Speed Trials including a twin Rolls Royce engined device in the 1950’s in the 60’s dragsters and funny cars became popular with the cars still running side by side and as can be seen below David Render managed to acquire the loan of a works Lotus Cosworth 76 for his sprinting in 1976 winning the Brighton Speed Trial with the car in the same year with the car to the nose of which David had added a large lump of lead to help keep the front wheels on the ground. Motorcycles and side car outfits have also been catered for since 1905 Above Leonard Shepard blasts of the line in his Lotus Europa. By 2012 the Brighton Speed Trial run by Brigthon and Hove Motor Club and Brighton and Hove City Council with an army of volunteers was being run over a quarter mile with vehicles running individually rather than in pairs. Unfortunately during the last running of the event the front wheels of a side car combination crewed by Roger Hollingshead and Charlotte Tagg lifted after hitting a dip in the track which launched the occupants into a collision with a concrete bollard which severely injured Roger and killed the unfortunate mother of three Charlotte. The 2013 event was cancelled pending an inquest into Charlotte’s death. In anticipation of a decision on the future of the event to be made by the council’s Economic Development and Culture Committee at a meeting on 23 January Ruth Reynolds of the Brighton and Hove Motor Club has set up a petition on the Brighton & Hove City Council website requesting acceptance of the application by the Brighton and Hove Motor Club to run the 2014 Brighton Speed Trials on Madeira Drive. I would strongly urge anyone who has ever enjoyed any kind of motorsports event as a competitor, organiser, volunteer, concession trader or spectator to spend a couple of minutes registering onto the Brighton and Hove City Council website linked here and supporting Brighton and Hove Motor Club in their efforts to revive the Brighton Speed Trials and encourage Brighton and Hove City Council to attend to the road surface. 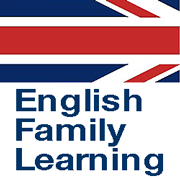 There is NO requirement for signatories to be resident in Brighton or even the United Kingdom, thank you. 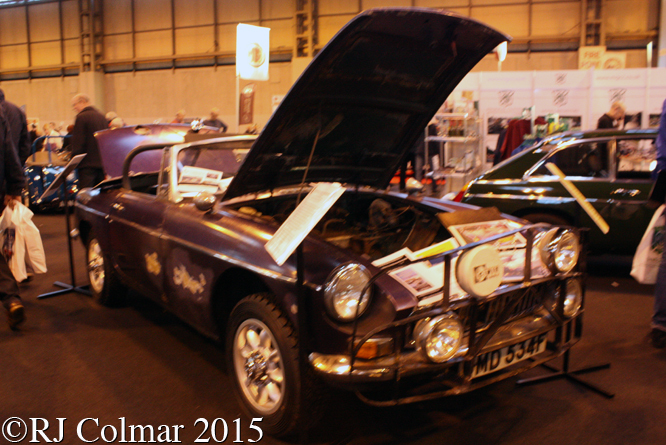 My thanks to Simon Lewis of Simon Lewis Transport Books for permission to his photographs and Vitesse2 at The Nostalgia Forum for alerting me to the existence of the e-petition. Wishing all GALPOT readers and contributors a happy, healthy and prosperous New Year. Thanks for joining me on this “Please Sign e-petition To Save” edition of “Gettin’ a li’l psycho on tyres” I hope you will join me again tomorrow when I’ll be starting a new short series on North American Law Enforcement vehicles. Don’t forget to come back now ! 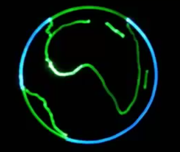 This entry was posted in Uncategorized and tagged 24, 76, Austin, Brighton, Chevrolet, City Council, Colmar, Economic Development and Culture Committee, Europa, GALPOT, Hollingshead, Hove, Levitt, Lotus, Madeira Drive, Mercedes Benz, Motor Club, Napier, Preston, Ralph, Render, Reynolds, Shepard, Simon Lewis Transport Books, Speed Trials, Summers, Tagg, The Nostalgia Forum on January 1, 2014 by Ralph.